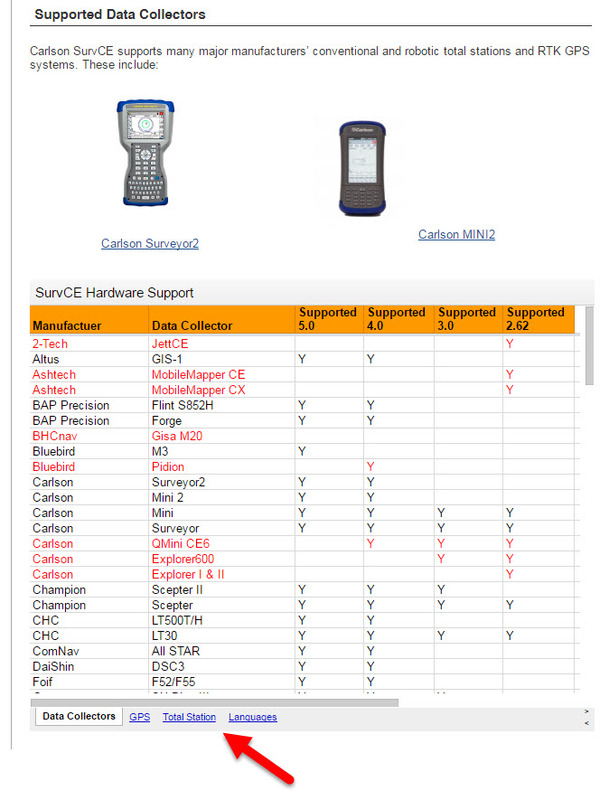 What data collectors, GPS and total stations can I run with my Carlson SurvCE or SurvPC? 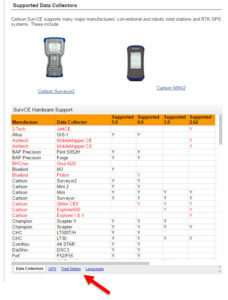 Click here for the list of data collectors, GPS and total stations that are supported in the various versions of SurvCE and SurvPC. It’s easy to overlook but the “micro-links” at the bottom of the table let you switch between Carlson data collectors, Carlson GPS and total stations.